It was his second attempt to get a chicken nugget from the girl, police said. 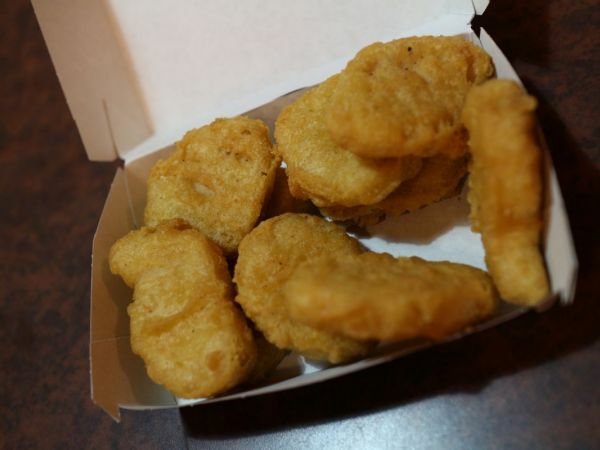 The boy noticed the girl bought chicken McNuggets at a Lexington Avenue and East 103rd Street McDonald’s on Tuesday. He asked her for a McNugget and she refused. The boy allegedly followed the girl into the 103rd St. No. 6-train station, pointed a gun at her head and demanded a McNugget again, police said. The girl smacked the gun away from her head and told the boy to leave her alone. She boarded the train unharmed, police said. The girl later saw the boy showing the gun to another child on the train. Police took the boy into custody on Wednesday after the girl reported the incident to school officials. That’s right. a 12-year-old boy robbed a girl at gunpoint. Just to get a chicken nugget. New York obviously does not have the strictest of gun laws, but how on earth is a 12-year-old carrying around a gun? As details arrive we will report them and update the story accordingly.